The company for all your Broadcast Radio Automation software and radio Logging software needs. Integrated Broadcast Systems is the leader in providing innovation without blowing your budget. Some of the products Integrated Broadcast Systems are involved with. We aim to provide quality radio automation software and audio production orientated software products that will enhance your radio station's productivity. You won't find any software we produce, easier to use, more cost effective or with so many features for the outlay. PCM_Gold is the complete Radio Automation Software Solution that you are looking for, for your Radio Station. From song database management to scheduling to on-air, both live-assist and fully-automated radio automation. Download the Free Trial version and check out how PCM_Gold can meet your Radio Automation needs. Pro-Logger Express, more thatust on-air radio logging for your station. It has inbuilt event logging of dead-air detection and duration, can record external events such as announcer voice over duration, current playing track, switching (requires external interface). Instant playback while recording. With Prologger Express you can keep track of how your Radio Station is sounding on air. Pro-Logger Express - The on-air logger for your radio station. 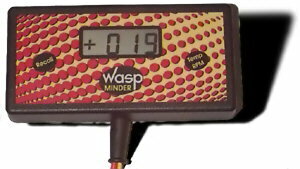 Wasp Go-Kart Products, run by kart racers for kart racers, giving you that added performance and enhancing your safety. 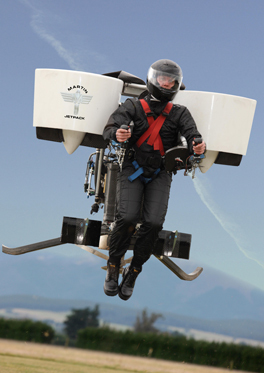 The Martin Aircraft Company approached Integrated Broadcast Systems with the challenge of designing and manufacturing an electronic control system for the Martin Jetpack. The Stability Augmentation System uses various sensors and actuators to tune the control surfaces on the aircraft to assist the pilot during flight. This now makes the Jetpack fully fly by wire. Along with a 2 way radio link the jetpack can also be real-time remotely monitored and controlled for setup, safety and logging. The Integrated Broadcast Systems Stability Augmentation System is now fitted to all of the Martin Jetpacks. The first flights for the public to fly was carried out on the 6 October 2009. Site design & maintenance: IBS. Copyright Integrated Broadcast Systems. Integrated Broadcast Systems, suppliers of radio software and logging software runs on win200/XP. Radio automation software for the professional radio station. Internal multi-channel mixing automation software for the radio station. Uses windows multi media sound cards for software radio station automation.